Although a mortgage is secured by real property, it is also secured by your promise to pay the amount owed. This obligation remains binding even if your finances take a turn for the worse or the real estate market tanks and you find yourself suddenly owing more than the house is worth. Foreclosure If you get in trouble and can’t make the payments and aren’t pro-active about finding a solution, the bank will exercise their right to foreclose. This will leave a significant black mark on your credit rating. If at all possible, you should endeavor to avoid this. In the good news column, this typically takes a few months, giving you time to find other answers if you jump on it the minute you know you are in real trouble. Strategic Default You may have heard this colloquially called “walking away.” You mail your keys to the bank, thereby notifying them that they can have the house back and do with it what they will. 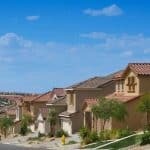 If the house is suddenly worth a lot less than you owe, this may make sense and it saves you some of the logistical problems associated with foreclosure. Just plan to move out, take your stuff with you and arrange other housing. It will still leave a black mark on your credit, but it protects you from some of the other fallout associated with most foreclosures because you have more control over the process. Deed In Lieu Of Payment This is a slightly more formal means to walk away from the property. You deed them the property and they forgive you the remaining balance on the mortgage. They then sell it to recoup their costs and the amount owed them, assuming they can get that much for the house. Short Sale Selling the house for less than you owe is another means to try to settle the matter. Like the above options, it will still hurt your credit score. However, this has become more common, thus making it somewhat less stigmatizing. Do be aware that the bank may try to hold you accountable for the difference between what the house sells for and what you owe. This may not get you entirely off the hook. Rent The House Out Become a landlord to cover your mortgage. Maybe you can live in a portion of the house and rent out the rest. Maybe you can move in with relatives and rent the whole thing out. This will allow you to cover your mortgage obligation and avoid foreclosure. If you aren’t in big trouble, you may be able to just sell your house fast online for cash. But, if you are in need of immediate relief, some companies specialize in buying up distressed properties for cash. Such deals often come with few or no fees for the seller and can be completed in as little as a week. If you know you just can’t service the mortgage, it is better to be proactive and try to resolve the matter. If you can’t pay, you will eventually lose the house anyway. There is nothing to be gained by remaining in denial.